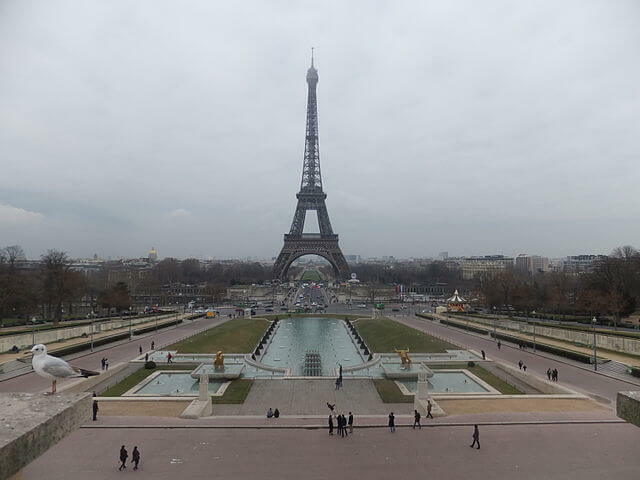 Tourists troop to Paris each year to get an eyeful of the most famous sights. A common complaint, however, is the huge crowd. On this list, I try to come up with a good mix of popular and not-so-popular places. So whether you like quiet parks, lively rooftop bars, trendy restaurants, famous landmarks, museums, or nondescript locations, there’s bound to be something here for you to enjoy. 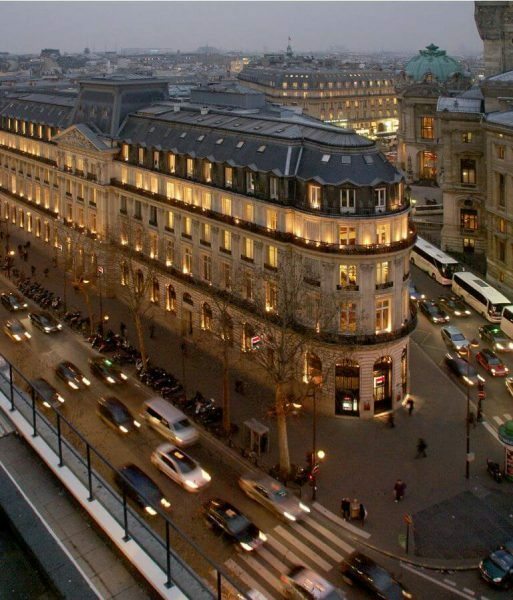 For a less crowded area to view a sweeping vantage of Paris, head over to Printemps Haussmann. The Printemps department store located in Boulevard Haussmann at the 9th arrondissement boasts of a lovely view of Paris from its terrace. Access to the terrace is accessible (and free!) to everyone and it is open from 9.35 a.m. until 8 p.m. daily, and until 10 p.m. on Thursdays. If you want to enjoy French dishes or enjoy a snack while soaking in the lovely scenes, you can also hang out at the Deli-Cieux café on the ninth floor of Printemps. 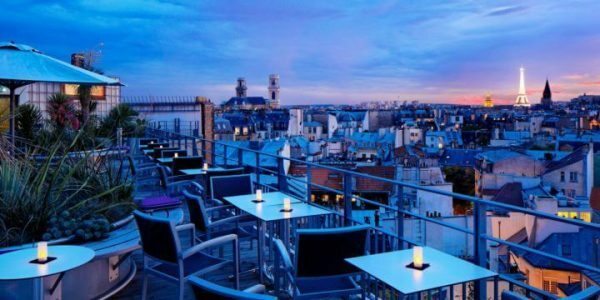 Located at the 9th floor rooftop of Holiday Inn Paris at Rue Danton, the 43 Up on the Roof Bar treats you to a stunning 360-degree view of Paris, including the twinkling lights of the Eiffel. Take note though that this coveted spot is mostly filled with hotel guests as well as locals. So make sure to get a reservation in advance. To avoid a huge crowd, try visiting around opening time. Up on the Roof is open seven days a week from 5 pm til midnight. Located at the 20th arrondissement of Paris, Parc de Belleville is considered as the city’s highest park. 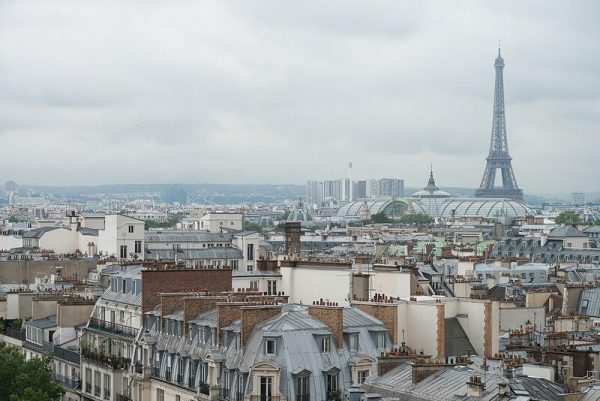 With its height of 108 meters above sea level comes some of the loveliest panoramas of Paris. To access the best views, head over to the summit of the park. You’ll find a huge terrace there that is the perfect spot to take your panoramic shots. Known for more than just its amazing perspective of the city from high up, the picturesque park is also a great place for you to sit down and enjoy a picnic amid its fountains and various flora. You can also find there the Maison de l’Air, a small museum meant to educate visitors about air pollution. For the next entry, we have another beautiful park, the Parc de Saint-Cloud located in Hauts-de-Seine in the South West of Paris. 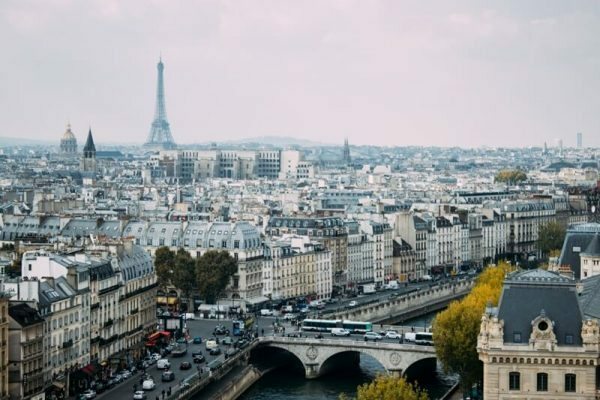 The park offers many outstanding viewpoints of Paris spanning the skyscrapers of La Défense, Butte Montmartre, the Eiffel Tower, Montparnasse Tower, and many more. Aside from the amazing panoramic view, you can also take a stroll and discover the park’s many pathways (the entire area is 460 hectares), jog, have a picnic, take endless photo shoots, visit the small museum and the various structures, check out the former location of the chateau, and Marie Antoinette’s rose garden, or enjoy a quiet sunny afternoon reading a book. The choice is yours. The best part, however, is that you can do this for free because entrance to the park is absolutely FREE. It is also open every day year-round from morning until evening. Another place where you can catch a panoramic 360-degree view of Paris is at the Les Ombres restaurant at the famous Musée du quai Branly. If this museum is already a part of your itinerary, why not take a quick stop at Les Ombres? Both inside and outside seating can give you plenty of gorgeous Parisian views including Eiffel Tower which stands in plain view. The restaurant has a lot of gourmet options to whet your appetite, and it is perfect for lunch as well as dinner. The menu can be a little bit pricey though, so if it’s not within your budget, don’t worry, there are plenty more sights to choose from below. Another gorgeous park which is perfect for a picnic while soaking in on the scenic views of Paris. Parc des Buttes-Chaumont, the 5th largest park in Paris, is far from average. With its scenic lake, fields, trees, and pathways perfectly complemented with a breathtaking view of Paris, this one is truly a sight to see. If you are looking for one of the less crowded spots to view a dazzling 360-degree panorama of Paris, head over to Tour Saint-Jacques. Take note, however, that the 16-storey journey is not for those with weak knees, claustrophobia, vertigo, heart problems, or shortness of breath. The small staircase that will take you up to the top is around 300 steps. Children below 10 years old are also not permitted to go up. The gothic tower is open to the public only on Fridays, Saturdays, and Sundays and there is a limit to only 136 visitors only each day. The best thing to do is go there before opening time (it opens at 10am) to purchase your tickets for the 50-minute guided tour. Despite all these, don’t worry, the view will be totally worth it. If you are one who likes to chill out with food and a good view of the Seine and the Eiffel Tower, here is a restaurant that should be right up your alley. Monsieur Bleu restaurant can be found in the new wing of Palais de Tokyo contemporary arts center. Drop by any day because it is open everyday from noon up to 2am! The terrace is open from May up to September and perfect for lovely days out. You already know Musee d’Orsay as one of the most famous galleries in France. It is home to works by great masters such as Monet, Renoir, and Cezanne. 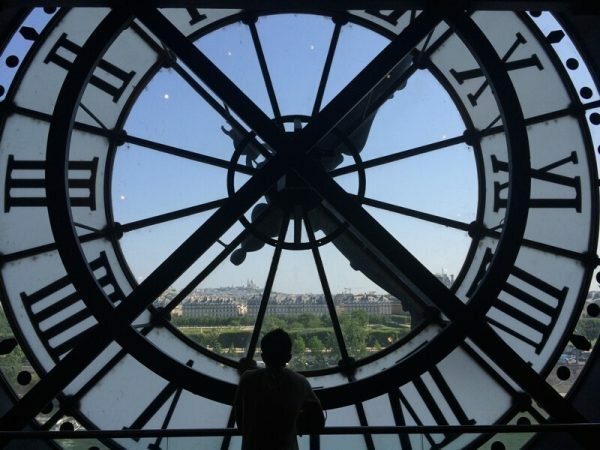 But did you also know that when you head up to the clock tower, you can catch a wonderful view overlooking the Louvre and Seine, going all the way to Sacre Coeur? There are two clock faces in the museum, but the one located on the fifth floor in the North-East corner has the better view. 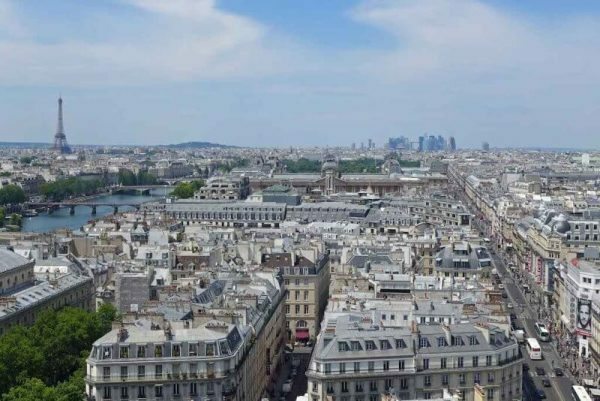 From here, you can see part of the Louvre, the Jardin des Tuileries and its ferris wheel, vibrant Haussmann buildings, the lovely Seine, and then the Sacre Coeur at a distance. 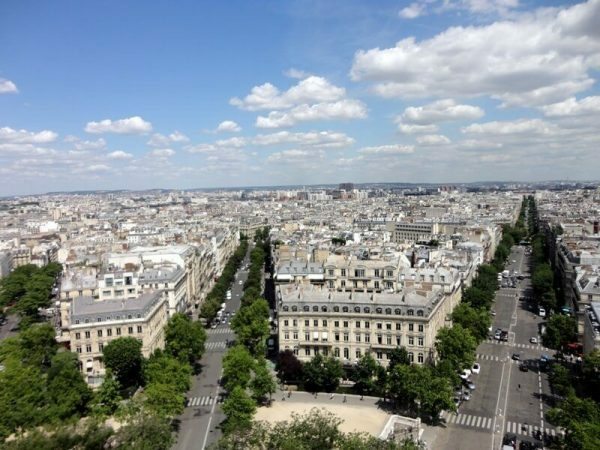 Another lesser known gem when it comes to jaw-dropping Parisian views can be found on the ninth floor observation terrace of Institut du Monde Arabe. Just go up via the elevator or take the steps up to the ninth floor. 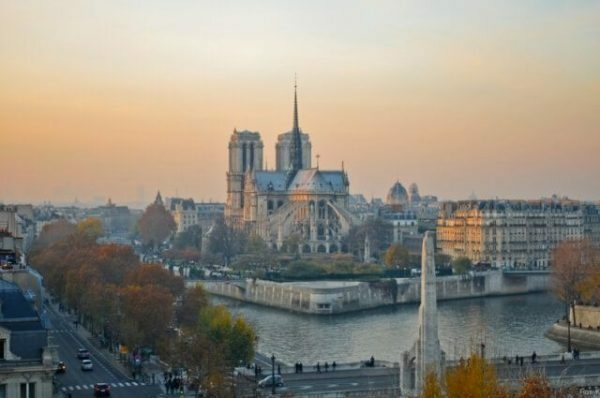 There you can enjoy a view spanning Notre Dame and the Marais, Ile de la Cité, the Mémorial des Martyrs de la Déportation, and the Seine. The terrace is open during museum hours: 10am to 6pm Tuesday to Thursday, 10am to 9:30pm on Friday, and 10am to 7pm on Saturday, Sunday and public holidays. If you are in the mood for Lebanese cuisine or an afternoon coffee or tea while admiring the stunning vista, you can also kick back and relax at Le Zyriab restaurant also on the 9th floor. Feel like sipping a glass of cocktail while music plays in the background and the lights of Paris twinkle behind you? The place for that would be the rooftop bar of le Perchoir. Unfortunately, many others have the same idea as you so be prepared to come early. The bar opens at 4pm, and it’s on a first-come-first-serve basis up to 110 people only. The last drink is served at 12:45am. On weekends, the bar opens at noon, so you’ll have plenty of time to enjoy the 360-degree rooftop view. Bar le Perchoir is not a place where you can just stumble into by chance. You will have to look for it specifically. The old office building where it’s housed in is located in an industrial district and there are no markings outside the door. On busy days, however, the snaking queues outside the front door should be a telltale sign that you’re on the right place. Once you’re in, you’ll find that it will be worth it. Sunset over Paris, drink in hand? Perfect. Another option for those who want to avoid the long queues in the Eiffel Tower is a climb up the iconic Arc de Triomphe. Be prepared to have a bit of workout though. The trek to the top is 234 steps, but once you’re up above 50 meters from the ground in the observation deck, the view and the photographs you’ll be taking home will be worth it. 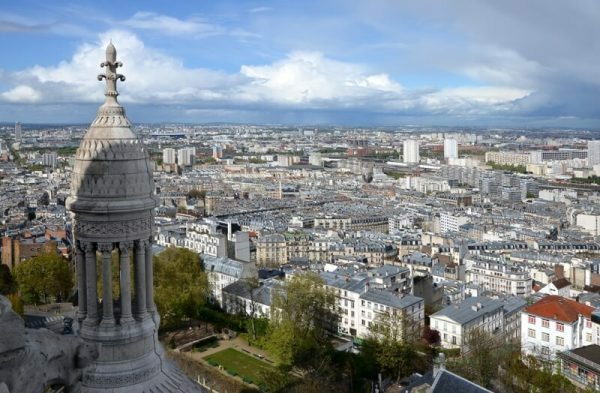 From there you can see for miles and miles and enjoy the spectacular sights of Grande Arche de la Défense, the perfect symmetry of the Avenue de Champs Elysées, the Tuileries Gardens, and up to the Sacré Coeur. Whether you prefer to visit during the day or at dusk when darkness cloaks the city and millions of lights begin to flicker, the choice is up to you. No trip to Paris would be complete without that touristy shot with the Eiffel Tower looming behind your back. If you would like one yourself, the Place du Trocadéro is most likely right up your alley. A lot of tourists have this same idea though, so it’s usually packed with crowds of people taking turns at posing for the camera with their friends and family (or with selfie sticks). If you want to avoid the crowd, try dropping by earlier, say at sunrise. Or go for a quick jog or stroll from 6 am to 6: 30 and enjoy a little quiet time…or plenty of jump shot photos. It’s totally up to you. Another building which offers a picture-perfect view is the Palais de Chaillot. 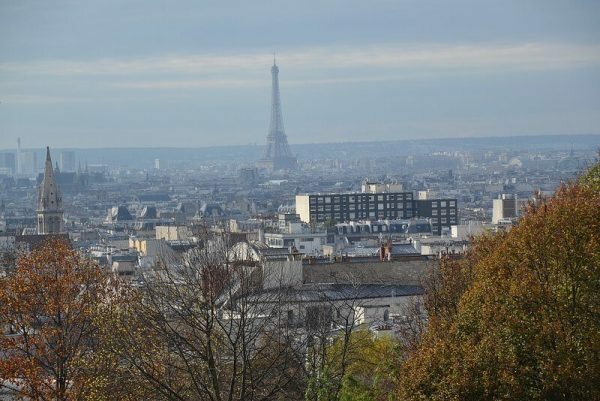 Also located on the Place du Trocadéro in the 16th arrondissement, it sits atop the summit of Chaillot hill. From the steps up to the terrace and to the top platform, you can get one of the best postcard photos of the Eiffel Tower. There are a number of galleries and a theater inside the Palais de Chaillot. You might want to visit those as well, or you can go to the cafe in the left wing to kick back and enjoy an Eiffel Tower view. I mentioned Printemps department store earlier on this list. Just a little walk away is another popular shopping destination and one that also boasts a spectacular view—Galeries Lafayette. Just like Printemps, you can access the rooftop deck for free! The Galeries Lafayette Haussmann’s roof terrace opens at 9:30 in the morning and closes at 7:300 in the evening. During bad weather, the terrace is also closed. 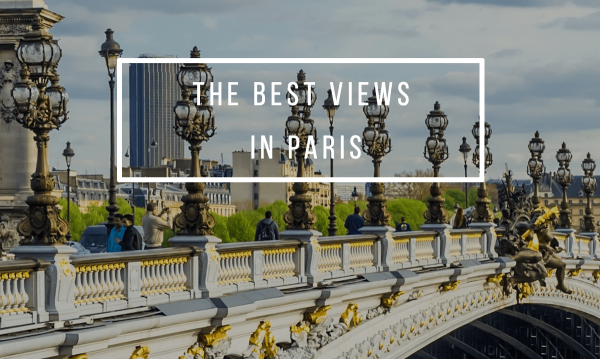 But on clear sunny days, however, you get to enjoy lovely views of Paris including Opéra Garnier, Eiffel Tower, Sacré Coeur, and the vibrant Haussmannian architecture of the neighboring buildings. There are plenty of gorgeous sights to take in from this viewpoint, so feast your eyes, and get your cameras ready! This gothic masterpiece located on the Île de la Cité is also a great place to catch amazing Parisian views. If you’re willing to climb up the 422 steps from the north tower to the top of the western façade, you’ll be rewarded with a spectacular view of the sprawling city. To do that though, you will have to start at the north tower doorway which can be accessed to the left corner from the main entrance of the cathedral. You’ll need to purchase your ticket (or get in for free with the Paris Pass). After which, you’re ready to climb up the narrow staircase past the gift and bookshop, to the open gallery of the north tower, then to the narrow walkway that will lead you to the south tower. From here, you can take as many snapshots as you want of the gargoyles and the views. You can also see the 13-ton Emmanuel bell in the south tower. For details like opening hours, ticket prices, and tours, visit their site here. Perched atop the hilly Montmartre, Sacré Coeur may be one of those tourist traps that some people would want to avoid, but high up at 130 meters above the ground, you can’t discount the fact that it offers one of the best viewpoints on Paris. 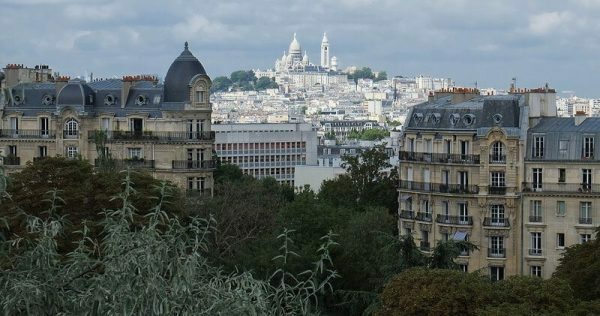 One of the best places to capture a postcard-perfect view of Paris is from the panoramic viewpoint at the parvis of Sacré Coeur Basilica. But if you want to go even higher up, you can reach the dome where the 360-degree view of Paris will take your breath away. 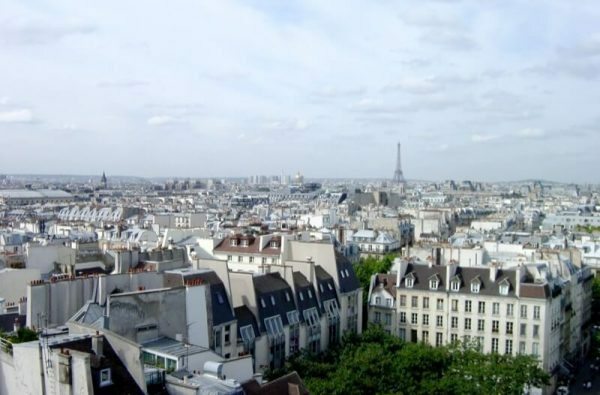 For a splendid view of the Marais, Notre Dame, Sacre Coeur, Les Halles, and the colourful neighborhood this side of Paris, go to the Centre Georges Pompidou. You can opt to spend time ogling some of the best modern art pieces, but if you’re just here for the view, you can purchase a ticket at the National Museum of Modern Art at the center and take the elevator up to the top. 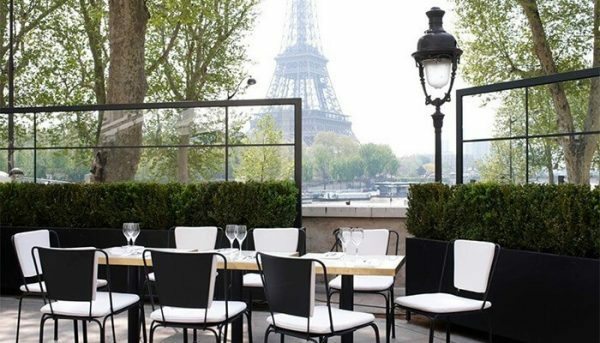 Another option is to dine in the ultra trendy Le Georges Restaurant and Bar and enjoy a drink and a meal against a backdrop of a stunning City of Lights. 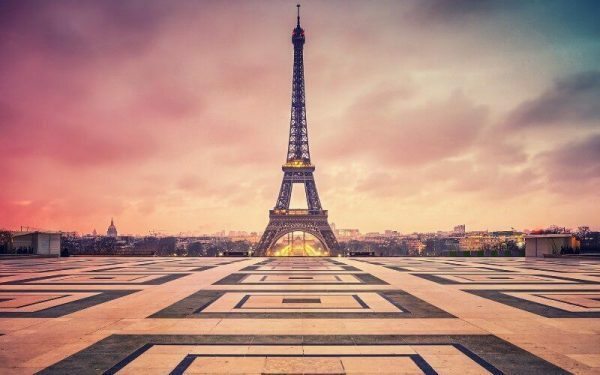 Any list of the best views of Paris won’t ever be complete without this landmark. The Eiffel Tower is hands down the most popular in this category. Considered as the highest viewing point in the entire city, you can see as far as the outskirts and the suburbs when you’re on the third platform. If you move lower to the second platform, you will get a much closer view of Paris to be able to appreciate the details better. 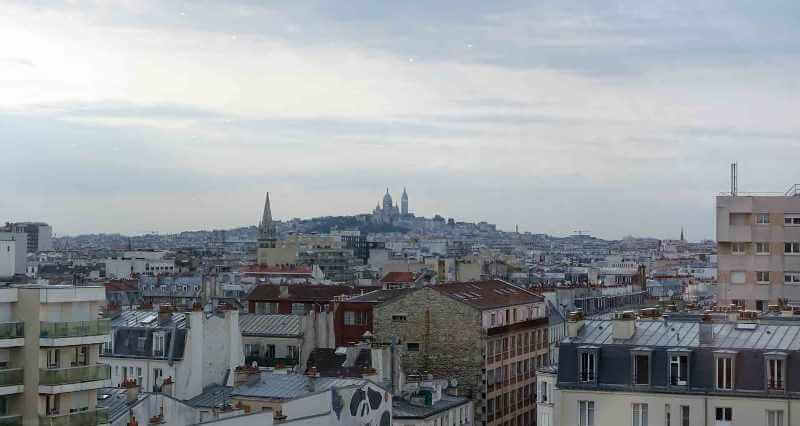 You can clearly see the Arc de Triomphe, Sacré Coeur, the towers of Notre Dame, and lots of other prominent buildings. One major concern though is the ridiculous throngs of crowd and the long queues that can make it difficult for you to enjoy the view. If you would rather not brave this kind of crowd, consider other options. There is one more below. Some say the Eiffel Tower is too far west to offer a stunning view of Paris. These are probably the same people who would prefer the view from Tour Montparnasse. You can’t blame them though. 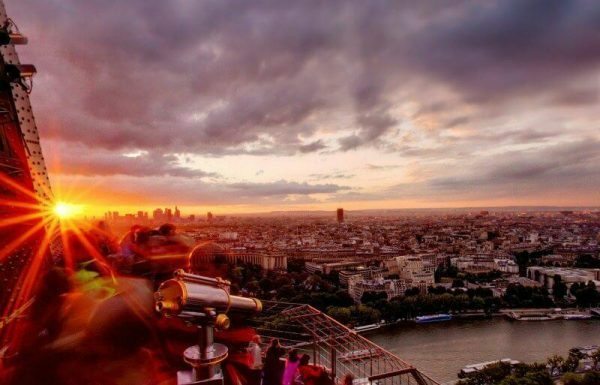 From high up at the observation deck of the tower, you can enjoy one of the very best panoramic views of Paris. Additional points for the lesser crowd. Whether at the 56th floor open-air terraces or on the 59th floor rooftop, the 360-degree views are incredibly stunning. Get whisked up 689 feet high aboard the fastest elevators in all of Europe. Watch the sun go down or see the sparkling lights of Paris. If you’re in the mood to dine with the gorgeous view as your backdrop, you can head to the restaurant aptly called Le Ciel de Paris (The Sky of Paris) at the 56th floor. Did any of your favorites make the list? If you have more suggestions, feel free to leave a comment so you could share it with the other readers. If you’re travelling to France soon, don’t forget to grab a copy of the best French phrasebook available in the market. 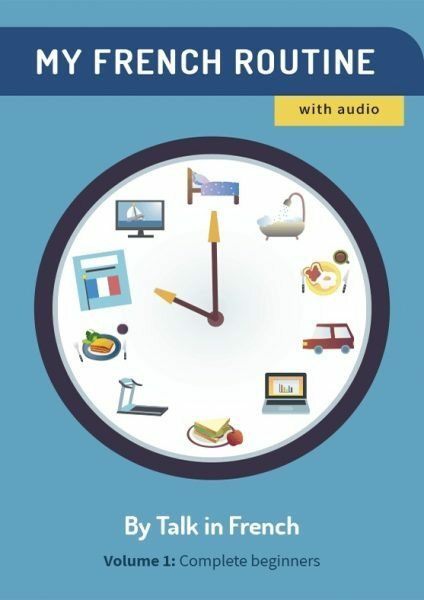 Travel in France with Confidence with the French Phrasebook from Talk in French. 2,000+ French words and phrases with phonetic pronunciation key and 89 minutes total audio tracks for pronunciation practice. Get it for only $9.90 by clicking the photo below.